These quotations illustrate the universality of the concept of justice throughout time and across many cultures. After the quotations were selected from a pool of over 150 contributions from law school faculty, staff and students, the librarians at the Harvard Law School Library researched the historical context and authenticity of each quotation and developed this website to share this research with visitors to this art installation. Augustine of Hippo (354–430 CE) is considered one of the most influential writers of the early Church. He was raised and educated in the classical Roman tradition in Thagaste, part of the Roman province of Numidia in North Africa. As a young man, he was a dedicated student of Latin literature and rhetoric, and he traveled to Carthage and later Rome to continue his studies. Although Augustine did not initially follow his mother’s Christian faith, while in Rome he converted to Christianity in 387 CE. Later, he returned to North Africa and devoted his life to the Church. There he founded an ascetic community, was ordained and eventually rose to be bishop of the city of Hippo. It is not surprising that Augustine is traditionally represented holding a book, since he was a prolific writer of theological works and pastoral letters. Augustine wrote in an era when many Catholic rites and doctrines were still unsettled, and the Church was confronted by a number of schismatic movements. Many of his writings directly challenge these movements. De Libero Arbitrio (On Free Will), the source of the quote, is one of Augustine’s earliest Christian writings. In it he addresses free will, grace and divine foreknowledge—themes he would revisit in his writings throughout his life. According to Islamic tradition, this surah (chapter), was revealed in Medina after the Prophet’s hijra (migration) from Mecca in 622 CE. As the name of this surah implies, An-Nisa’ mainly deals with the obligations and responsibilities of women in Islamic society, but it also touches on inheritance and family law along with slavery and temporary marriage. In this verse, the Qur’an is addressing the importance of truthfulness in testimony. King John agreed to the terms of Magna Carta in a field at Runnymede in June of 1215. John’s reign had been an unhappy one, marred by wars in France, ongoing financial difficulties, friction with the Church and conflict with his subjects. Many of his barons resented his heavy-handed attempts to assert royal authority and extract funds to support his military campaigns. By late 1214, the barons rose against King John’s arbitrary rule, and after months of negotiation and armed rebellion, the barons took the city of London, drastically weakening John’s position. Under duress, John agreed to negotiate the settlement that led to the Magna Carta. Today, many of the claims set forth in Magna Carta seem modest in scope. They address grievances against the king’s abuse of his powers over inheritance, fines and legal procedure. Over time, however, these specific claims became less important than the underlying principles that recognized that royal power should be limited by the law. By 1765, the great English jurist Sir William Blackstone cited “the emphatical words of the Magna Carta” to support his statement that “the law is in England the supreme arbiter of every man’s life, liberty and property. ” (Commentaries on the Law of England, I.137-138). The Magna Carta’s simple statement quoted here is now considered a founding principle in English constitutional law. Here is the link to the Harvard website, detailing this, click here. This is a great news and I read it with a great joy. In fact This is a recognition of Quranic teachings. In a country where Quran the Holy Book was Burnt out in hate, burnt our openly not only in the Churches also on the Roads in front of the innocent people. This is a Holy Book There is no doubt( Sayings of Allah Who is the Gracious ever Merciful. Wonderful. Let us also document it further. Is it a temporary display or a permanent fixture? I hope and pray that some one in Boston can send us more pictures and information. I hope it has a reference showing that it is from the Holy Quran, I couldn’t see it from the picture. Great step by the University, indeed!! A slow revolution is taking place every where in world but majority of people do not realize. Lot of scholars are taking serious notice of Islam, Quran and Mohammed sayings. Hundred years ago it was not like that and it was common practice of western scholars to find any possible bad examples anywhere in Islam. Muslim scholars who were unable to respond to such allegation due to their lack of knowledge in every field except calling everyone infidel and engage in meaningless sectarian fight. Since Promised Masiah Mirza Ghulam Ahmad start writing and replying such assaults. Then his followers jamat Ahmadiyya continuing his work doing translation of Quran and establishing lot literature. Now lot of Muslim scholars are doing same and western educated and intellectuals are looking Quran for guidance. The unbiased, unprejudiced, and equitable teaching of the Holy Qura’an attracts and affects the undistorted human nature regardless of the theological differences. It is gratifying to learn that Law Faculty of Harvard bravely posted the verses of the Holy Quran on its wall. Alhumdo Lillah! The concept of Justice as stipulated in Islam is unheard of in the Western Justice system. As the Promised Messiah pointed out another element that is missing in today’s world (which is why he came) is Taqwa or being Mutaqqi. In relation to Justice, the verse calls for being truthful even if it is giving evidence against your own self which many will find hard to do. It is human nature to go on “self-defense” as soon as there is any allegation of any sort. It is often in the bid to claim or establish innocence men tend to deny commission of an act. In the practice of law (attorney-client privilege) attorneys often develop plans on how to extricate their clients and set them free despite a clear admission of their part in the wrong doing. In light of this verse an a Muslim attorney will be required to advise client to speak the truth and take responsibility of his action. Hope one day these verse will become a focus point of legal studies in USA and serve as guiding principles in our justice system that will guarantee a much safer society. This is so nice! Justice quotes chosen with justice. I think Muslims should recall their memory, that is to learn to appreciate anything good , no matter where it came from. This what Islam teaches us. This what Hadith quotes, every good deed belongs to believers, they should adopt it wherever they find it. This is the most righteous approach. 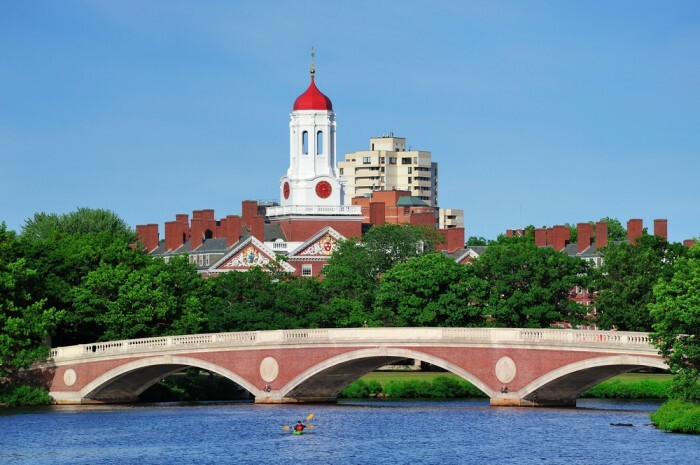 We appreciate and marvel at this act of goodness from the authorities of Harvard university. Tauhid and Love God with all your heart..
Justice for all people regardless religion, race, gebder and non religion. Those Muslim who dont read and practice all Gods laws, those Muslim will go astray. That is God command Muslim to believe in All His books many times.Q. 3:1-6. Islam is a religion of love. Moses &Jesus teaching! Allah and Prophet Muhammad command Muslims many times Q.3:2-6, to believe in Taurat, Zabur, Injil or Gospel and practice it that not against Al Quran as new laws for Muslim. So those who follow Jesus teaching ( Gospel ) Allah promise to fill his heart with “love, Mercy and Light as guidance”, refer to Q. 57:27, Q. 5:46. Jews, Christian are lovely Muslim. I urge all Muslim around the world to read Gods books Bible, you will find happiness, peace, a lot of ❤️, and guidance. If extremist Muslims follow Moses and Jesus teaching, I believe that peace will be prevail on earth.